Our staff can assist you with your project's needs. We offer a wide variety of concrete additives. Please contact our sales department for more details. We carry all INTEGRAL color options from Davis Colors, Scofield, Solomon, and Brickform. Color charts and samples available. We carry Grace Regular Fibers as well as Micro(Stealth) Fibers. Reduces chances of plastic shrinkage cracking and improves the life of your concrete. 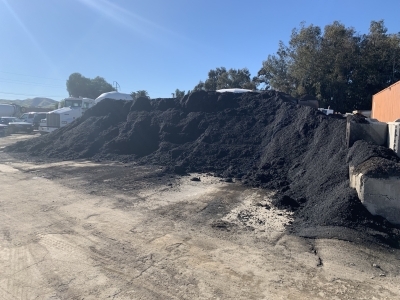 We offer a wide variety of Hot Mix Asphalt including 1/2" medium and occasionally 3/8" asphalt if requested the day before. We also carry the uniquely blended Cold Mix Asphalt(Cutback) below. Bring us your broken or used concrete and asphalt rubble with no rebar extending over 1 foot. Please no brick, dirt or wood - we cannot accept loads contaminated with these materials. 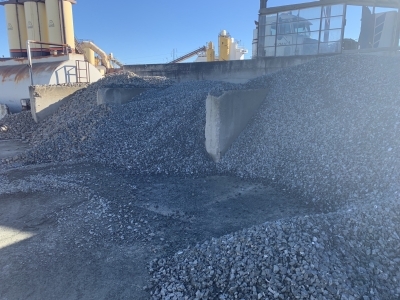 Please contact our sales department for detailed information on our various sizes of rock and sand. Please call to check delivery availablity and pricing for orders over 24 tons. Our County certified scale is available for your DMV vehicle weight certification. Please bring VIN#.